Halloween is a fun time of year, and part of the excitement is planning the perfect costume for your Halloween party or other event! In many cases, your makeup can make or break the costume, and since you only have one chance a year at this much fun, why leave anything to chance? A professional makeup application makes it easy to create the perfect look for your night of fun! Bring a photo. If you have a look in mind and can find it online, bring in a photo. Even if it’s not the exact look you’re after, you can demonstrate different elements from different costumes that you’d like to combine into the perfect look. It’s always easier to explain exactly what you want when you have examples. Wear loose-fitting, comfortable clothes. Don’t wear your best work outfit to your session. Wear something you can easily take off, so you can get the rest of your costume into place without smearing your Halloween makeup. If your session is just before your event, wear a portion of your costume and add the rest later so you’re more comfortable for your session. Plan ahead. Make your appointment well in advance, at the most convenient time just before your event. Makeup artists are busy during this season, so you’ll want to be sure your favorite artist is available at the right time. Remove makeup when the party’s over. Sleeping in makeup, especially heavy costume makeup, can clog your pores and cause issues. Even on regular days, it’s best to wash off makeup and night and wear a night cream to bed. Take good care of your skin and remove that makeup before you sleep. Excited for your fun Halloween night? So are we! Make your appointment for your Halloween makeup application today at Meraki Hair & Makeup Studio. 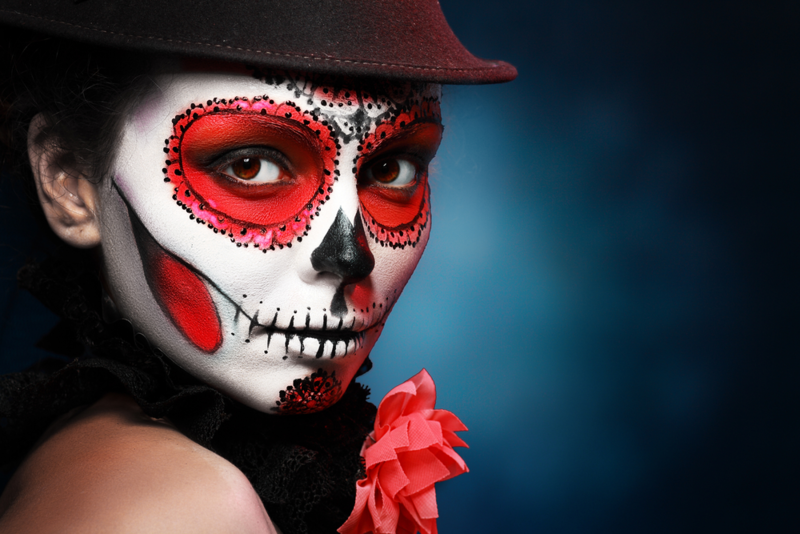 Our professional makeup artists love to help you create the perfect costume! You can find us at 1281 Arthur Kill Road in Staten Island or call 718.966.6601. If you prefer to schedule an appointment yourself, give our mobile app a try. It’s available for a free download at iTunes or Google Play.